They’re at the heart of the NHS and get the majority of the NHS budget – more than £65 billion of taxpayer’s money – to provide your care and treatment. But are Clinical Commissioning Groups delivering on the promise to be accountable to the public? Findings from research we carried out suggest a wide variation in the level of access the public has to spending information in different parts of England. Clinical Commissioning Groups (CCGs) came into being in April 2013 when the coalition government was restructuring the NHS under the Health and Social Care Act 2012. General practices in England are legally obliged to be a member of a CCG, made up of GPs and nurses who are thought best placed to understand their patients’ health needs and how funds should be spent locally. In December 2013, NHS England published a guide for CCGs requiring them to develop a two-year operational plan and a five-year strategic plan. Within that guide patients were prioritised in every decision taken by CCGs which were to listen and learn, ensure their work was evidence-based, be open, transparent, inclusive and strive for improvement, and ensure “high quality care for all, now and for future generations”. Part of these “checks and balances” involve being accountable to patients and the public, which means informing the populations they serve and ensuring that they can contribute to their forward plans. But, as I’ve been finding out in a project looking into CCGs, there is a worrying lack of transparency. We started looking at how CCGs around England inform the public about their spending plans – documents NHS England have said CCGs need to make publicly available. Of the 211 CCGs in England, only 27 had open and accessible plans while nine had no open access to plans or no plans at all. When broken down into the two-year (operational) and five-year (strategic) plans, it was found that the vast majority (92%) had accessible strategic plans and more than two thirds had accessible operational plans available, but only two thirds of CCGs had both sets. Getting the plans required effort. Nine out of ten CCGs needed to be contacted because their plans were not easily accessible (either by searching their websites, or board meeting minutes), or were incomplete (only available as early drafts or spreadsheets), or the documentation was unclear (for example, various plans were combined into one document). While CCGs without a plan were the exception, having no public-facing documentation is concerning. The public perception might be that planning and opportunities to shape the development of local health services aren’t priorities. And when it comes to blocking access to plans, this opens CCGs up to criticism that services are not scrutinised or locally relevant. We found regional variations. 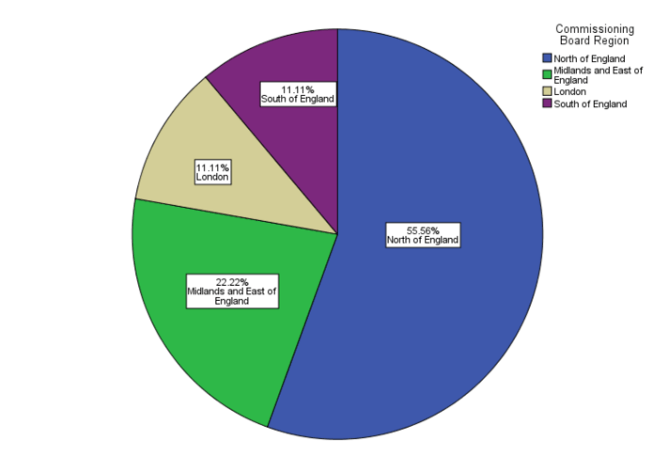 When it came to plans that were available, CCGs that had made them easily accessible tended to be located in the Midlands, the east and south of the country, while none were easy to access in CCGs in the south-west or the north-east of the country, or in London (figure below). 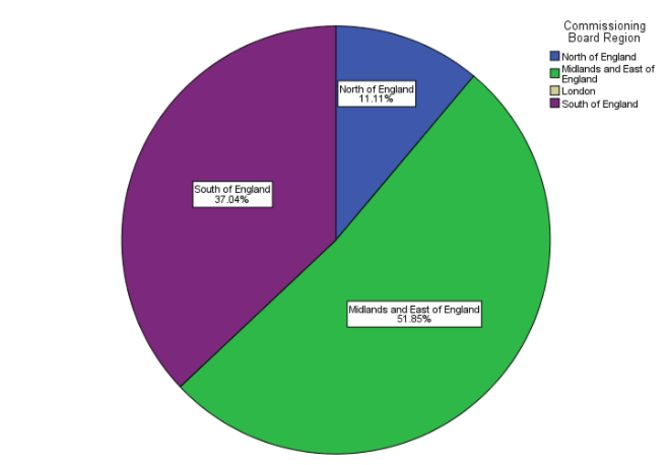 The majority of the CCGs that gave no access at all were in the north, with some others scattered in the Midlands and east, the south and London (second figure below). We found that CCGs that provided no access to their spending plans were almost entirely based in areas that have higher levels of deprivation and poorer health. The 27 CCGs that we found with easily accessible plans, were found in areas with lower deprivation and better health. This suggests that in areas where health needs are highest are also where there is the least transparency about what CCGs plan to do with their budget. This raises some questions. Do CCGs in areas of high need engage less with their population compared to more open CCGs in affluent areas – and how do they explain to their public what they’re doing with their money? Is lack of access because they prioritise providing better healthcare for a population with a greater health than focusing on administration? And do they involve the public in other ways – are clinicians in these areas closer to their population with more grass-roots opinions on local needs feeding in without a need for formal process or documentation? If CCGs are to be accountable then the public need a clear understanding of plans and processes. Many CCGs are on their way to enabling this, but if you want to get involved it is something of a postcode lottery. It seems that another set of inequalities are being generated whereby health services in areas with greatest needs are not fulfilling their duty to provide the basic information necessary for local communities to scrutinise health spending decisions.